Emily Neuhausen is a zealous advocate for clients involved in negotiation and litigation centering on their families. An associate with the firm’s Family Law practice group, her practice focuses on domestic relations matters, including divorce, custody, visitation, child support, alimony, property distribution, LGBT family issues, adoptions, and assisted reproductive technology issues. Emily has a broad background in dealing with a variety of family law issues. Some of her memorable cases involve assisting clients with international, domestic, step-parent, second-parent, and foster-parent adoptions in Maryland, D.C., and Virginia. Emily also represents clients in negotiating surrogacy, sperm donor, and egg donor contracts. She is adept at guiding LGBT clients through the process of building their families, and also has familiarity with issues that can unfortunately arise when things don’t work out. While earning her Juris Doctorate from the American University Washington College of Law, Emily was a student attorney as part of the Women and the Law Clinical Program and an Executive Member of the Moot Court Honor Society. She finished among the top-16 teams at the Domenick L. Gabrielli National Family Law Moot Court Competition at Albany Law School. During law school she spent a summer interning for a Special Master at the U.S. Court of Federal Claims and a semester interning for the Arlington Circuit Court, reviewing family, civil and criminal cases. 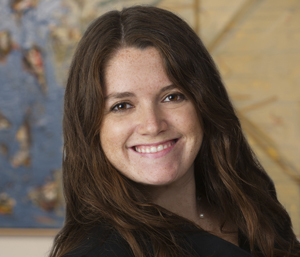 Prior to joining Shulman Rogers, Emily worked at a boutique family law firm in Silver Spring.